Best of the week: all the news and reviews 07.02.14 | What Hi-Fi? 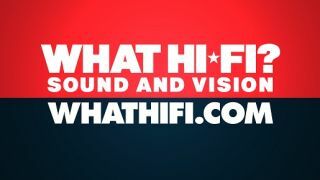 This week on whathifi.com we've reported on several major news stories with Sony announcing yet another restructuring of their business, Microsoft revealing their new CEO and more rumours concerning HTC's upcoming smartphone. It looks like @evleaks is at it again, this time revealing a few morsels on HTC's upcoming smartphone codenamed 'M8'. Expected to be released after the 2014 Mobile World Conference, rumour has it that the new HTC will debut it at an event held in New York, much like the HTC One did last year. Sony have been in a spot of bother for the last few years as its TV division struggles to cope with increased competition. Sony's solution? To split off its faltering division and operate it as a wholly owned subsidy from July 2014. A good move? Time will tell as the Japanese corporation continues its attempt to return to profitability. After many months of speculation, Microsoft has announced the successor to outgoing CEO Steve Balmer and it'll be (drumroll) … Satya Nadella. Rewind to 2012 when the original Dragonfly was released and it instantly set our test rooms on fire (not literally of course) with its explosive performance. A winner at the 2012 WHF Awards, they were usurped in 2013 and now they're back. And they're back with a vengeance. Will 2014 be the year the Dragonfly DAC reclaims its throne? Fun. Just pure fun. The new Boom speaker from Ultimate Ears is the kind of exciting, feature-laden, and most importantly, excellent-sounding piece of kit that we like to test at WHF. A really impressive and compact speaker. It made quite an impression on us. Part of Sony's continuing trend to pursue anything and everything in high-resolution content, this capable music streamer mixes the old and the new in a refreshing manner. We were mightily convinced by the performance and while we have a few problems with it, it's a fine home audio solution.